Ms Jones has taken her class on a fabulous trip to the zoo. They’ve seen the monkeys and they’ve seen the tigers. The very last animal they see is a big old hippopotamus. Ms Jones leans over the bars to feed the hippo a peanut, but – oh no! The hippo eats Ms Jones instead! Now a hippo in a flowery hat is teaching the class. 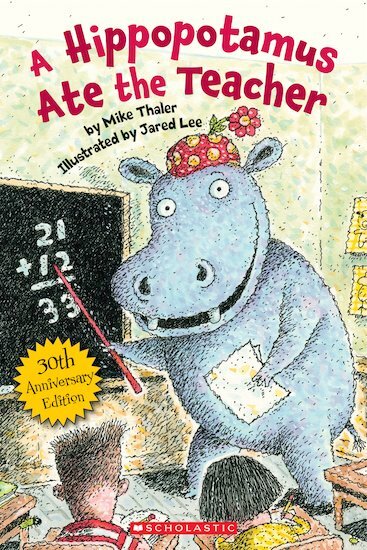 But hippos don’t make very good teachers… A laugh-out-loud classic from the creators of The Teacher from the Black Lagoon!